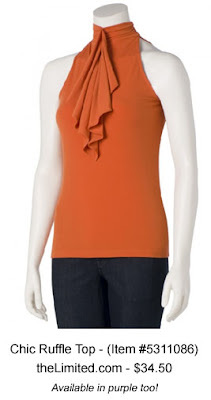 Clemson Girl: Quick Poll: Would you wear this orange, ruffle collar, sleeveless shirt to a Clemson football game? Quick Poll: Would you wear this orange, ruffle collar, sleeveless shirt to a Clemson football game? Visit theLimited.com to see this top and possibly purchase. I would so wear this shirt to a Clemson game!